MahjongTime.com abides by the principles set forth in the Safe Harbor framework as set forth by the U.S. Department of Commerce regarding the collection, use, and retention of data from the European Union. 1. What information does MahjongTime.com collect? 2. What types of E-mails will I receive from MahjongTime.com? 3. What are "cookies"? Do you use them? 4. Does MahjongTime.com share the Information It Receives? 5. How can I review and update my personal information? 6. Will this policy ever change? 7. How does MahjongTime.com protect my personal information? 8. Does MahjongTime.com collect Personal information about children? 9. How does MahjongTime.com know if I consent to the usage outlined here? 10. What should I do if I have other questions? Q: What information does MahjongTime.com collect? When you participate in Guest tournaments, MahjongTime.com asks only for your e-mail address, though you also need to create a Player Name that can be displayed on tournament winner lists. Collecting your e-mail allows MahjongTime.com to send you announcements if you win the tournaments that you participate in and to invite you to participate in invitation-only tournaments. You may choose to not to receive messages in either your email. Please note that MahjongTime.com reserves the right to contact players via email regarding financial and administrative matters associated with their account, such as deposit confirmations, password reminders, and technical support. When you participate in our Money tournaments, MahjongTime.com needs your real name, e-mail address, credit card number, expiration date and billing address. This allows MahjongTime.com to process tournaments, reward prizes or money and track funds that you withdraw from your MahjongTime.com account. When you submit a bug, suggestion, complaint, question, request, or any other e-mail correspondence, MahjongTime.com asks for your e-mail address so that you can receive a response. This information will only be used to notify you of receipt of your submission and of a resolution to the inquiry. If you win a prize or other promotional feature, MahjongTime.com may ask for your real name, mailing address, and e-mail address so that you can be notified and arrange for delivery. By signing up for an account, you agree that MahjongTime.com may display your player name and competition results. From time to time, (and usually when you win a prize), MahjongTime.com may ask you to voluntarily provide general demographic and other personal information for inclusion on the MahjongTime.com "Winners" page. See section 2.5 of the Terms and Conditions for details about this. In addition, MahjongTime.com also reserves the right to use the information collected to occasionally notify you about important functionality changes to the Web site, as well as new services and special offers you may find valuable. Users that do not want to receive these notifications may opt-out during the registration progress. If you have opted to receive these notifications but no longer wish to receive this information, you can unsubscribe from promotional e-mails by modifying your e-mail preferences on the "Manage Account" page. If you are a USA taxpayer and your total winnings on MahjongTime.com in any given calendar year reach a total of $600, MahjongTime.com will request that you submit your social security number in order to send you a Form 1099, as required by Internal Revenue Service regulations. Failure to provide your social security number at that time will prevent you from participating in game tournaments. 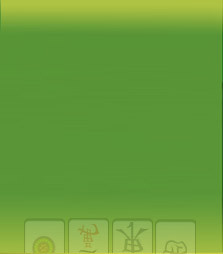 We also collect non-personal information that we use to customize your experience on MahjongTime.com, including: IP address, Internet service provider, geographic location, browser type, operating system, pages viewed on MahjongTime.com, player rating information, cash and prize winnings and game statistics. Although this information is related to your preferences and activity, it is not associated with your personally identifiable information and cannot be linked to you personally. We collect and use account and other personal information to: comply with law; enforce or apply our Terms and Conditions and other agreements; and/or protect the rights or property of MahjongTime.com, our users, or others. Q: What types of E-mails will I receive from MahjongTime.com? Tournament Messages: These e-mails are related to tournament play on the site, and will inform you if you are entitled to an entry fee refund, or if you have been outscored in a tournament. Win Notifications: These e-mails will inform you every time you were declared the winner of a tournament in which you entered. MahjongTime.com Promotions and Player Bonuses: These e-mails provide information about new games and special tournaments and will often include financial benefits, such as additions to your account (for example: "Get $5 and Come Back to see what's New at MahjongTime.com"). If you would like to modify your email options, click the "Change Email" option in your Account settings..
Q: What are "cookies"? Do you use them? Q: Does MahjongTime.com.com Share the Information It Receives? Service Providers. We employ other companies and individuals to perform functions on our behalf. Examples include e-mail, processing credit card payments, and providing customer service. They have access to personal information needed to perform their functions, but may not use it for other purposes. Partner Sites. MahjongTime.com may share information with those other companies, in a manner consistent with the privacy policies of those companies. MahjongTime.com will only share information with those Partner Sites with whom the user already has a relationship and with whom the user already has an agreement concerning the sharing of the user's information. Advertisers. We aggregate (gather up data across all user accounts) personal information and disclose such information in a non-personally identifiable manner to advertisers and other third parties for their marketing and promotional purposes. However, in these situations, we do not disclose to these entities any information that could be used to identify you personally. Protection of MahjongTime.com and Others. We release account and other personal information when we believe release is appropriate to enforce or apply our Terms and Conditions and other agreements; or protect the rights, property, or safety of MahjongTime.com, our users, or others. This includes exchanging information with other companies and organizations for fraud protection and credit risk reduction. Legal Compliance. We release account and other personal information when we are required to do so in order to comply with the law. With Your Consent. Other than as set out above, you will receive notice when information about you might go to third parties, and you will have an opportunity to choose not to share the information. Q: How can I review and update my personal information? A: You may review your personal information at your "Manage Account" page. There you can modify information that is incorrect or delete information. Information that can be modified includes your password, email address, and credit card. You can also delete your credit card information. Q: Will this policy ever change? Q: How does MahjongTime.com protect my personal information? A: MahjongTime.com has security measures in place to protect the loss, misuse and/or alteration of your personal information. If you provide us with information (e.g., credit card numbers, address), we encrypt your transmissions using SSL ("Secure Sockets Layer") technology. In addition, we keep personal information you provide on servers that are protected by firewalls and located in a physically secure facility, accessible only by permitted MahjongTime.com employees. When you open a Member account, you are given the option of depositing money into your account via a credit card or PayPal account. We use a credit card processing company, Authorize.net, to bill users for deposits to their account. Authorize.net does not retain share, store or use personally identifiable information for any secondary purposes. Users also have the option to deposit money via a PayPal account. PayPal is an online payment alternative to credit cards. If you do not already have a PayPal account, you will automatically be taken to the PayPal registration form. Assuming your PayPal account is confirmed, your deposit should be available for Money signups almost immediately. You may only have one MahjongTime.com account per PayPal account. Q: Does MahjongTime.com collect Personal information about children? A: No. The MahjongTime.com Web site may only be used by persons 18 years of age or older. Please refer to our Terms and Conditions. Q: What should I do if I have other questions? Q: How does MahjongTime.com know if I consent to the usage outlined here?